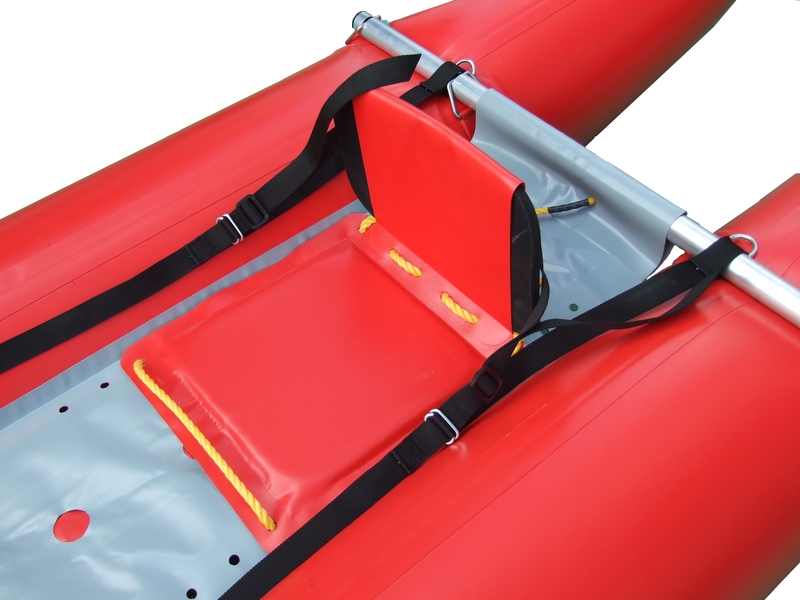 Welcome our new addition to the family - The Drake Inflatable Cataraft. 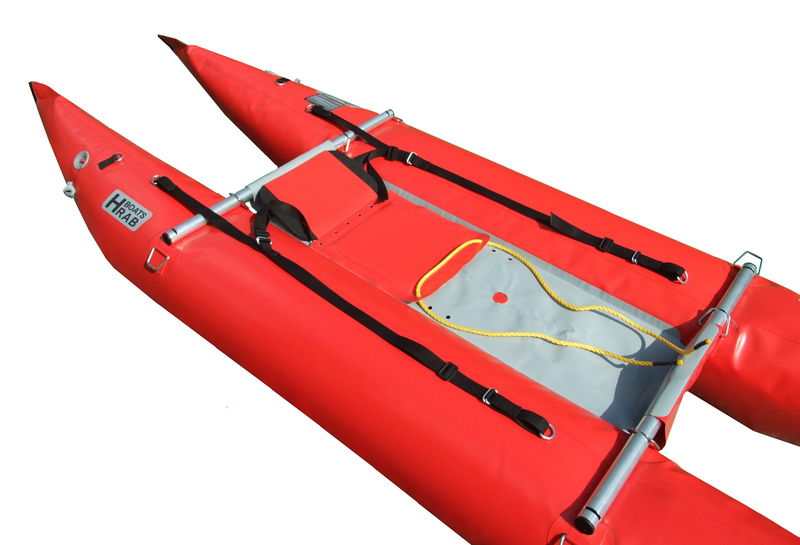 We have put together all the crucial characteristics of vessels in its class designing a nimble, well-performing cataraft which will be way beyond your expectations. 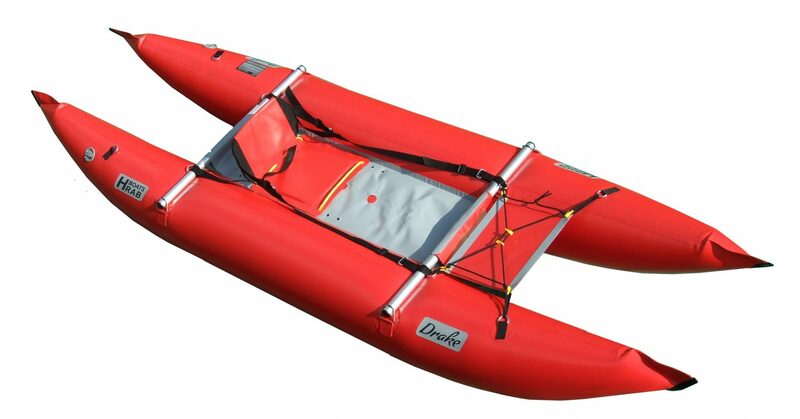 The Drake is designed for solo paddlers making it a great choice for those seeking a light and compact vessel which will take you places others will not dare. 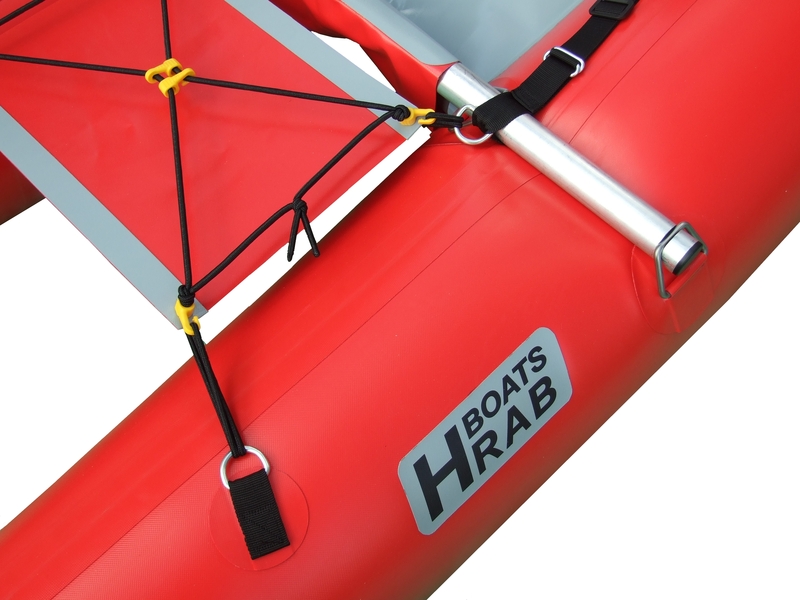 Its unique design makes the Drake an exceptional vessel with superb tracking performance and stability allowing you to take on more difficult rapids (up to Class IV). However, you can just as well enjoy it when fishing on lakes or having fun along the seashore. 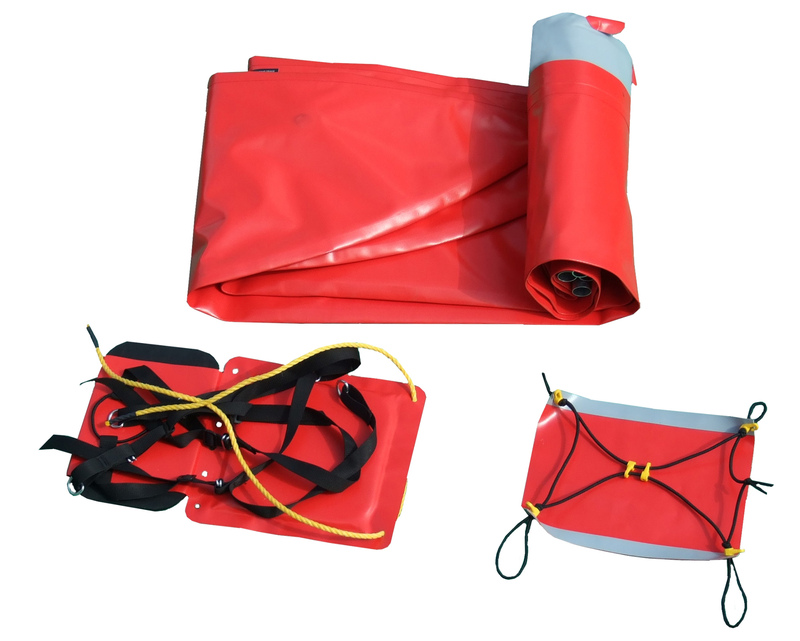 The Drake Inflatable Cataraft is exceptionally stable, light, nimble and compact making it a great choice for one-day and multi-day trips. The air chambers are connected with two anodized aluminum thwarts. You can enjoy a fully-adjustable seat with backrest placed on the floor with thigh straps for keeping perfect control of the Drake. 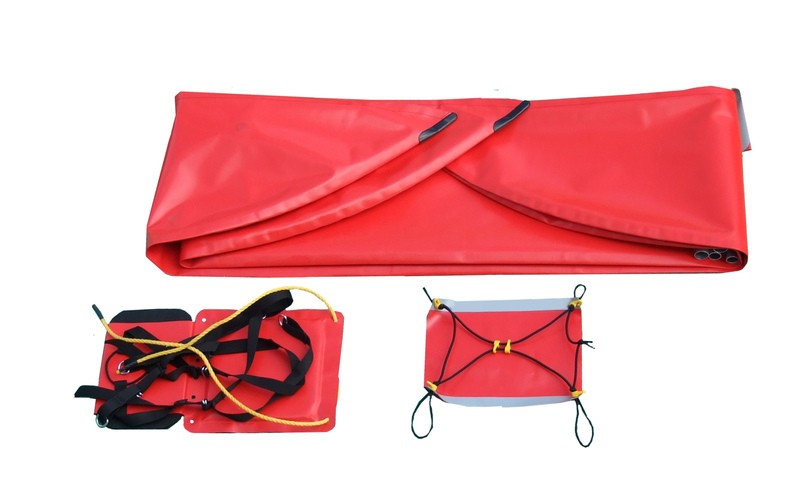 The Drake features rings in the bow and stern for additional deck/gear tie-down and is delivered in a 90/63l waterproof carrying duffel bag for ease of packing and transport. 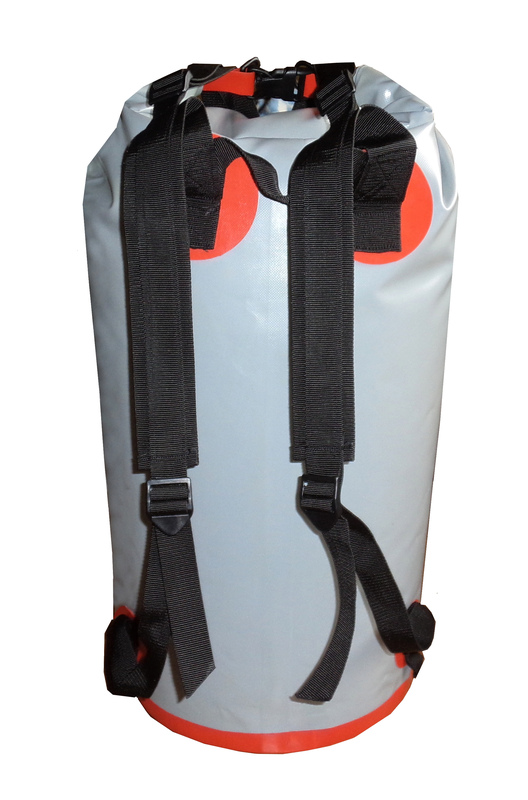 In production, we use a highly durable double-coated Walmex 1000g/m2 polyester fabric. To ensure top quality, all the seams are done manually using a two-compound adhesive.